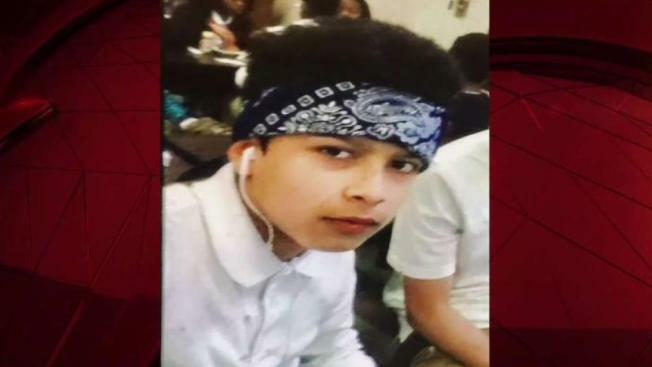 A body discovered over the weekend in a wooded area of Fredericksburg, Virginia, is that of a 16-year-old boy — and authorities believe he was murdered in Prince George's County, Maryland. Police say Jacson Chicas, of Falls Church, was killed inside a home in the 7000 block of Varnum Street in Landover Hills. His killers then dumped his remains in an area between River Road and the Rappahannock River, police said. A sheriff's deputy discovered his body off River Road near Route 3 on Saturday. Chicas' mother, who did not want to be identified, told News4 in Spanish that her son was forced to join the MS-13 gang in El Salvador and that's why their family fled the country. But Chicas was unable to escape the gang's grip in America. She said Chicas was trying to leave MS-13 and he had started living at a house in Prince George's County to spare his parents and siblings from danger. Chicas' mother said when gang members accused him of talking to police they threatened to kill his family and he told them to kill himself instead. His mother said she knew her son was dead when she saw the photo police posted of a bloody forearm tattoo. The Stafford County Sheriff's office said Thursday it is collaborating with Prince George's County police in the investigation. In a video posted to Twitter, the Stafford County Sheriff's office also asked anyone to report suspicious activity they may have witnessed, including a car parked overnight along the road. On Friday, Prince George's County police said four men and a teenager were arrested and charged in connection to Chicas' murder. Police said all five suspects are part of an MS-13 "clique" that operates in Fairfax County, Virginia. Police asked anyone who may have information related to the case to call 540-658-4450.